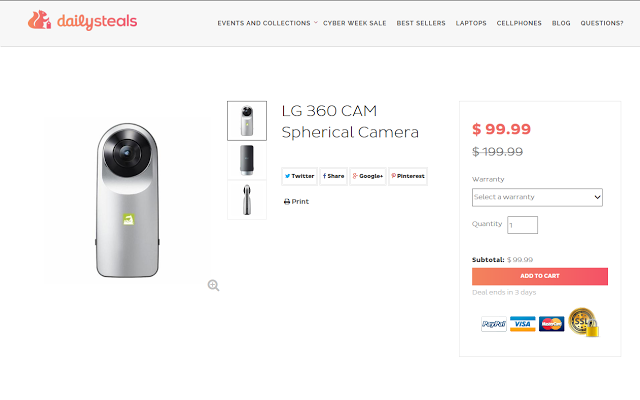 If you missed the Amazon lightning deal on the LG 360 Cam, you can still get it for $99.99 from DailySteals here, a 50% discount from its $199 MSRP. Here is my review of the LG 360 Cam. Thanks to Jim Jensen of the Google+ Photo Sphere Community for bringing this to my attention!